Welcome to Post University Online! Post University was founded in 1890 to support the needs of industries growing in Connecticut and named for its first principal, Henry C. Post. Post University is currently the leading provider of online classes in Connecticut. We are also growing both throughout the United States as well as internationally, so with an education through Post, you can be assured that your education has value anywhere you may want to travel. For everything you need to know about Post University, read on. At Post University’s Waterbury, Connecticut campus, we have everything a college student would want at their fingertips, from residence halls to comfortable classrooms and the Traurig Library. We also feature several additional Connecticut campuses located at: Danbury, Meriden, and Norwalk. With our rolling admissions policy, students can get involved almost immediately in the next stage of your valuable education. Beyond the physical campus we also have a virtual campus that allows students to participate in the most flexible way possible—through online classes. Request a free enrollment kit and attend Post University this year. Post University’s on campus classes are engaging and well-balanced between demonstration, lecture and hands-on activities. Post University Online offers supremely convenient online classes that are flexible and offered in accelerated 8-week modules that start continuously throughout the year. We utilize a Blackboard Academic Suite, a user-friendly online environment where students and teachers can interact and valuable learning experiences can occur. Financial aid is available for qualifying students. At Post University Online we believe the most valuable investment you can make in your future is getting a great education. 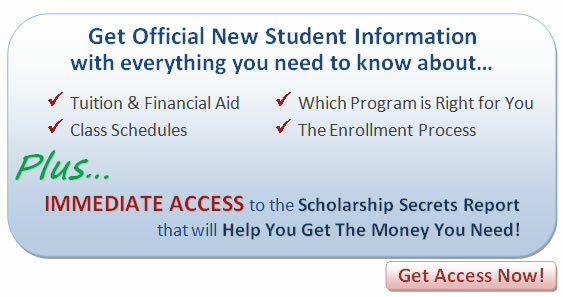 We also offer payment plans for students who may not qualify for traditional financial aid. Passing on this opportunity for more information from Post University Online means nothing will change for you. You'll still work at a job you hate and pray that one day a sensible and real opportunity will fall into your lap. But, what if this IS your real opportunity, and now you just need to act. Post University is accredited by the Commission on Institutions of Higher Education (CIHE). For official new student information, request a free course catalog and attend Post University Online this year! For official new student information, contact us now. Let us help you achieve a great future!